With commercial properties; it is extremely important to keep it well maintained; ensuring that it is in good, structural condition and is always looking at its best. Businesses need to send out the right message, communicating to potential customers the sense of professionalism that they are searching for. A filthy, poorly maintained property will most likely deter visitors and customers, and with commercial properties, you cannot afford to lose their custom due to poor appearance. This can all be easily prevented if you always keep your property well maintained. It is also important to keep your property looking its best for legal reasons; as all businesses are required to comply with exterior building maintenance standards, to ensure that it is protected against degradation. More importantly; it also ensures the safety of employees, visitors, and customers. A lack of basic maintenance can cause structural damage such as cracks, peeling paint, dry rot, mould growth, and many other problems. These arguably small issues can lead to further deterioration, inconvenient for occupants and can even cause health problems. Eliminate the risk by keeping your property maintained. Here at Thomas Oakes, we know how to properly maintain your property and help prevent any structural damage. This means that your property will continue to look as professional as it can be, keeping customers interest and giving you total peace of mind. 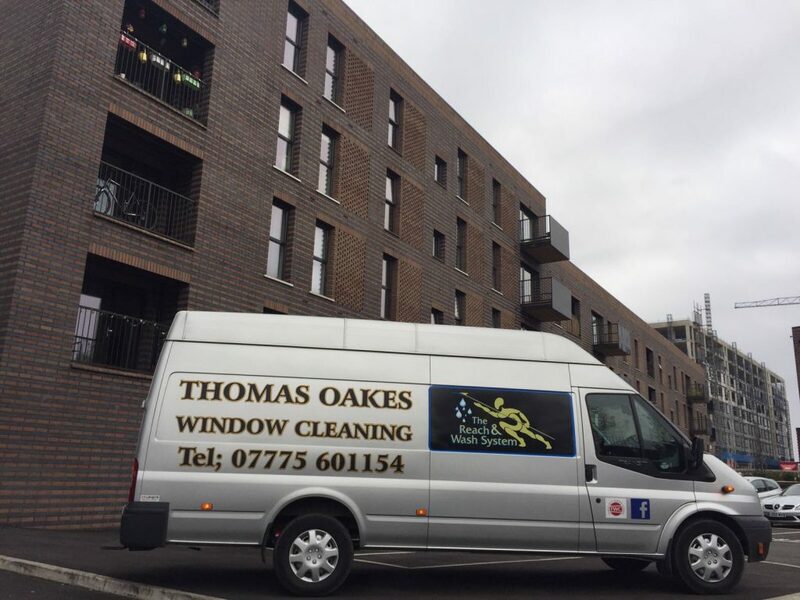 Why choose Thomas Oakes Window Cleaning? With more than 15 years in the industry, we have developed a distinct talent for providing fantastic results with our excellent attention to detail. When you entrust Thomas Oakes Window Cleaning, we always work hard to make your premises look at its best for when customers visit. More importantly; our qualified team work under all current health and safety regulations and are always up-to-date with industry requirements. We offer our services in Warrington, Widnes, Wigan, Runcorn, and St. Helens. For a free quote or for any enquiries, contact our professional team today by calling 01942 819 334 or email us at thomasoakeswc@gmail.com. Alternatively, fill out our contact form and we will be in touch! Fantastic service, business and people. Would recommend this business 100%. Thanks to Thomas, total professional!! Excellent job done by a professional Company. Very polite and well-presented staff with an eye for detail. They even went that extta mile and removed paint which had been on the window for years, couldn't be happier. Highly recommend. Really good window cleaner. Does a professional job on every job. Big or small. Very polite. And takes pride in the job they do... and they aim to pls. Customer Picture Before And After From Yesterday’s Job. I Think You’ll Agree It Looks Superb!